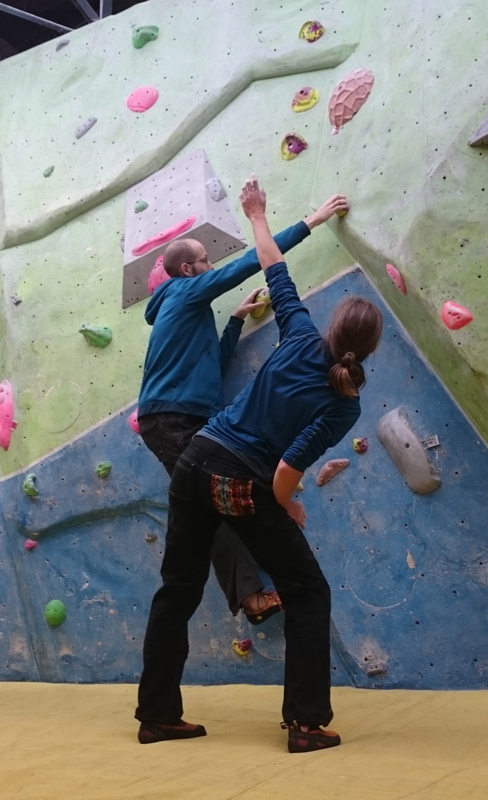 Alice coaching me on how to climb using the open hand technique. I’ve taken my first steps back into climbing following surgery on my injured knee. 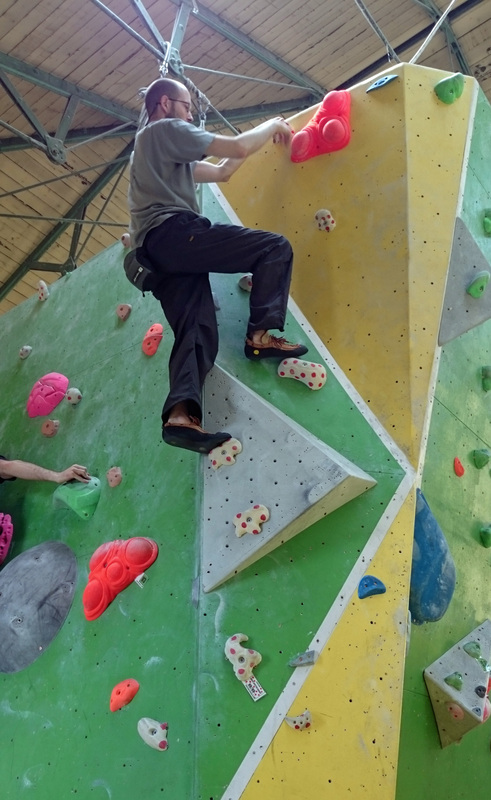 They’re just small steps at my local climbing wall, because I worry that anything else will see me injure myself again or at least slow down my recovery. My physio was clear about how to not hurt myself – avoid jumping down or falling off from boulder problems until my legs have regained the strength needed to cushion the impact. The only way to follow that advice was to carefully climb easy problems and down climb everything. 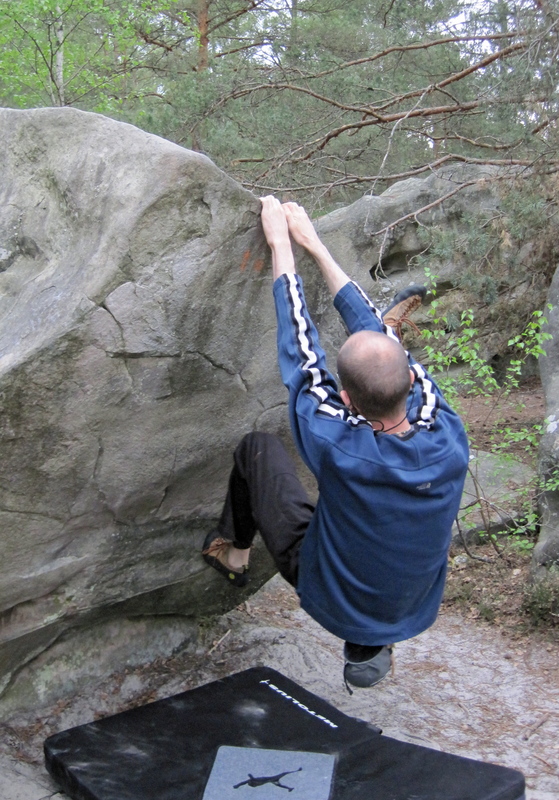 This was limiting and could have been a bit irritating, but I decided the best thing to do was to accept climbing this way and ended by enjoying my session. It’s sometimes fun to just focus on moving well during a climb and to forget about pushing yourself to climb harder. I think that I’ve been guilty in the past of getting so caught up in things like the next gear placement, the fall below me, reducing rope drag or how to complete the next move that I just forget to enjoy moving on the rock (or on plastic). My injury has been frustrating, but it is getting me to think differently and to think more about how I move, how I balance and how I can just relax into climbing. If I can change my focus in this way then may I can enjoy the climbing I can do more and build up the fundamentals of good climbing technique so that I can be a better climber in future. Maybe I can also not get frustrated about how rusty my technique is right now and how much strength I’ve lost. My climbing wall session was the start of all this. I’ve got quite a way to go yet to return to my previous climbing standard, but I’m happy to be back climbing. It has been one year since my injury. One year since I tore a part of my knee using a heel hook while bouldering. One year in which I made my injury worse and in which I’ve been trying to recover so that I can climb again. In retrospect, this was a bad idea. 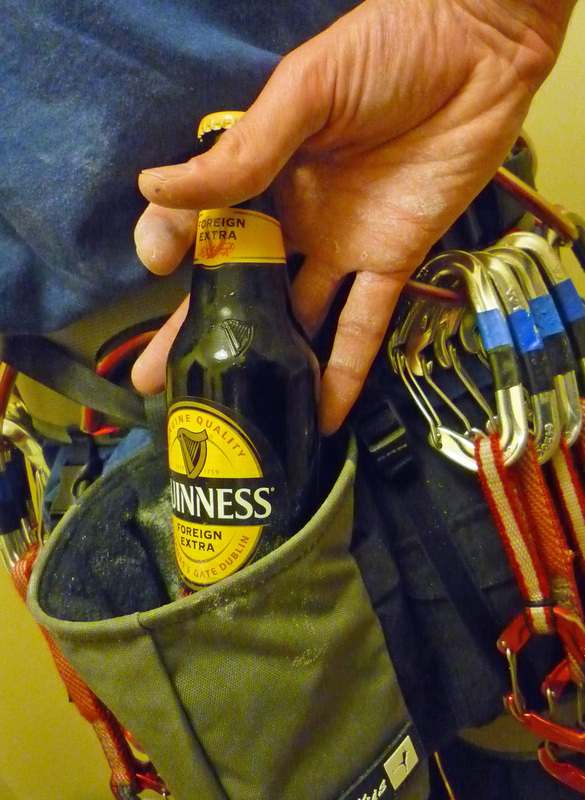 It’s common for rock climbers to drink alcohol after climbing. It’s also common for rock climbers to go climbing the morning after drinking alcohol. If done in moderation and sensibly, this can be fine. But it can also be unsafe and affect climbing performance both in the short and long-term. It’s my stag party soon and a big part of the plan is to go rock climbing. As alcohol is typically central to a stag do, I’ve been wondering recently how sensible it is to combine rock climbing and alcohol. 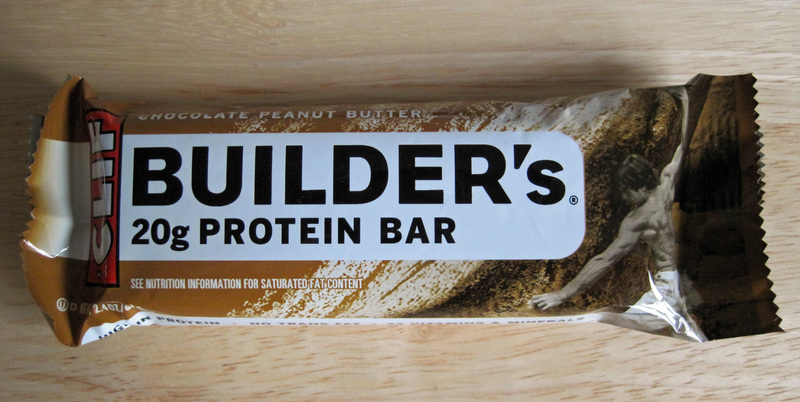 It’s hard to write about Builders Bars without sounding like an advert. They may only be protein bars, but they are great protein bars. They are also brilliantly convenient if you want to recover after rock climbing and don’t want the hassle of protein powder drinks.